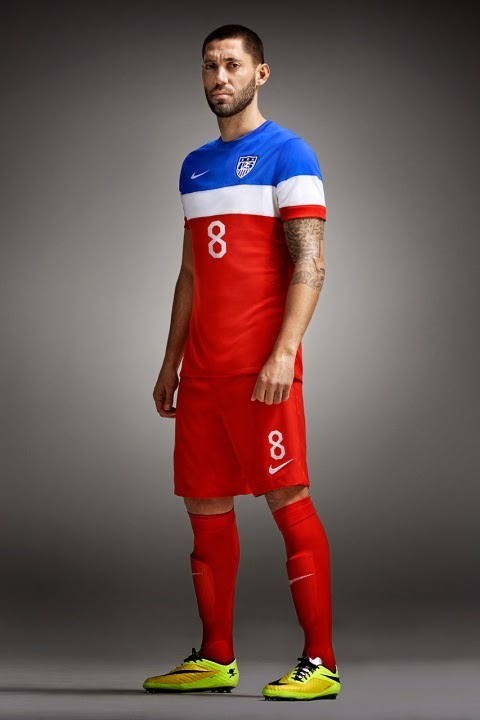 Where the home jerseys were a bit more on the traditional side, Nike‘s vision for the U.S. national soccer team’s away kits are a bit more radical. The U.S. will take the fields in Rio this summer sporting distinctive tri-color kits, using red predominantly in the body and shorts. At the neck, a pennant tab with thirteen red and white stripes represents the country’s original 13 colonies. Other details include specially-made font and numbering for the backs, giving yet another unique edge to a deservedly confident team taking the world’s stage. Tapping fans and athletes from Sean Malto to Sydney Leroux to model the shirts, look for your own version on Nike’s website now.